Click here to check out other promotions by Hue Hotels and Resorts Puerto Princesa. 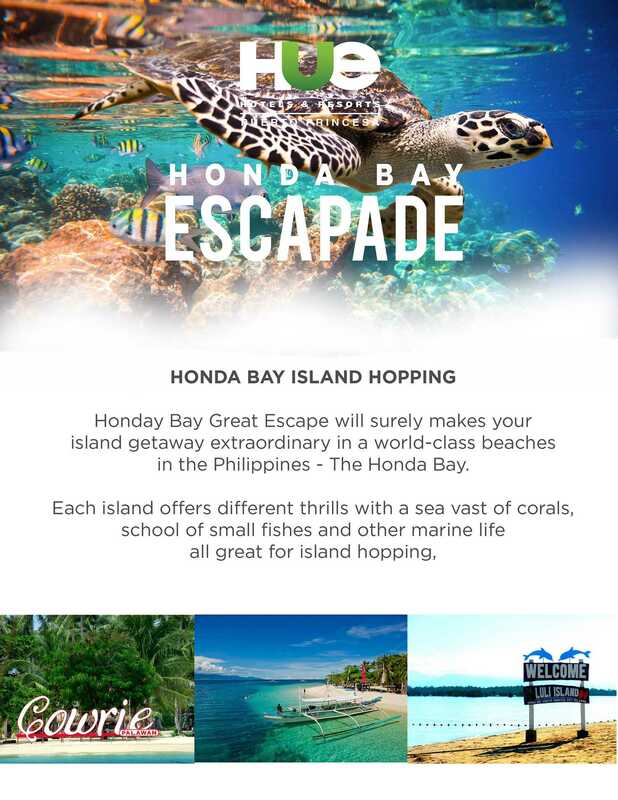 Honda Bay Great Escape will surely makes your island getaway extraordinary in a world-class beaches in the Philippines - The Honda Bay. Each island offers different thrills with a sea vast of corals, school of small fishes and other marine life all great for island hopping.